Del Mar students can ride the bus with a valid student ID. A part of college registration fees are shared with the Corpus Christi Regional Transportation Authority so students are not charged when boarding the bus. 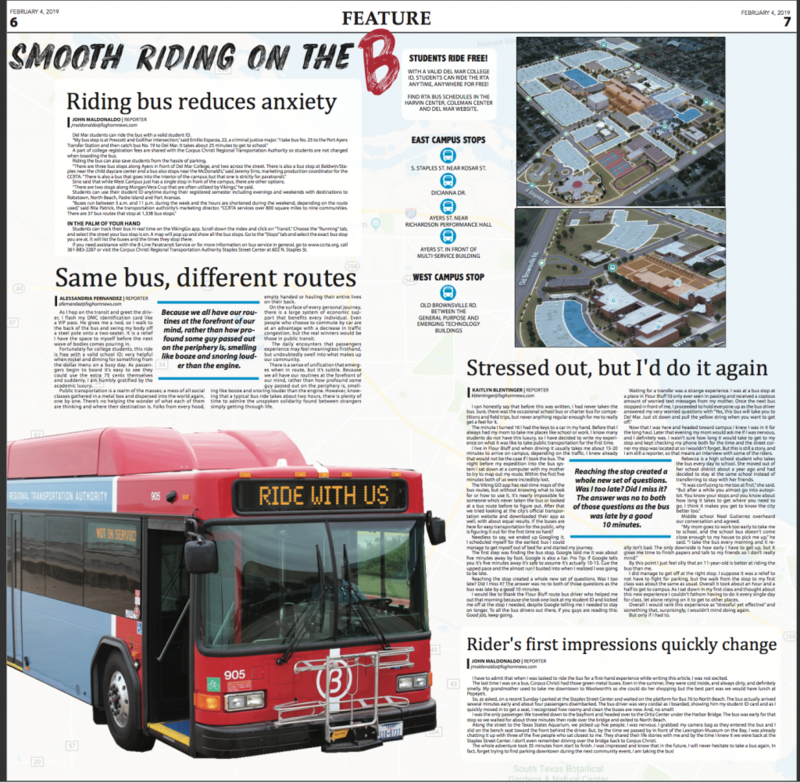 Riding the bus can also save students from the hassle of parking. Sirio said that while West Campus just has a single stop in front of the campus, there are other options. “There are two stops along Morgan/Vera Cruz that are often utilized by Vikings,” he said. Students can use their student ID anytime during their registered semester including evenings and weekends with destinations to Robstown, North Beach, Padre Island and Port Aransas. Students can track their bus in real time on the VikingGo app. Scroll down the index and click on “Transit.” Choose the “Running” tab, and select the street your bus stop is on. A map will pop up and show all the bus stops. Go to the “Stops” tab and select the exact bus stop you are at. It will list the buses and the times they stop there.